We’ve been doing a virtual drive down through Crawford County, on Highway 27, in southwest Wisconsin. In our previous blogs, we passed through Rising Sun, past Fairview, Boma Ridge, the 1926 Clara Olson murder, Utica Lutheran Church, Mt. Sterling, Seneca, pass the turnoff onto County Highway E that would take us to the Scheckel farm out on Oak Grove Ridge. I grew up in this hill country in the 1940s and 1950s, leaving to go into the Army in the Fall of 1960. In our last blog we were just past the Severson farm south of Seneca, about 4 to 5 miles. That was the site of the worst traffic accident in Crawford County history, 4 people dead and 2 with injuries that lasted a lifetime. Four persons are dead and two critically injured as a result of one of the most gruesome two-car collisions in Crawford county. The accident occurred about 6 PM Wednesday evening Oct. 16, half way between East and Seneca on highway 27. 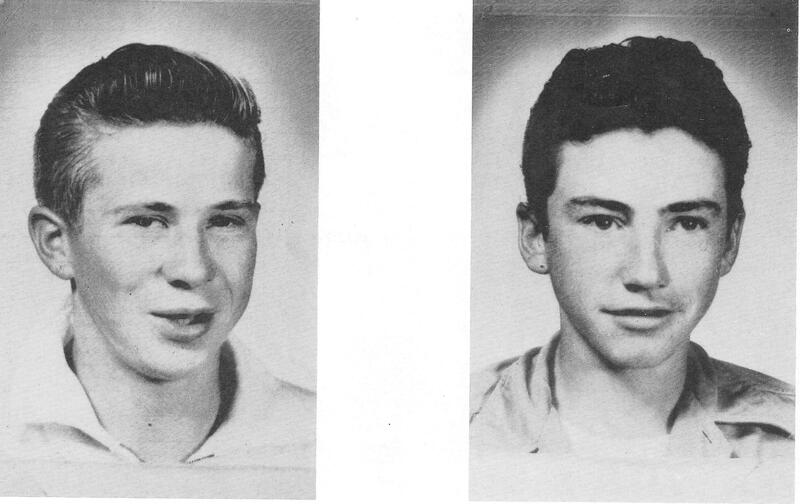 Dead are Thomas Snell, 42, Bert Swatek, 22, Michael Sprosty 15, and Bernard Foley, 18. In serious condition at Prairie du Chien General Hospital are Snell’s 10 year-old daughter, Joanne Marie, and Frank Pintz, 17. Pintz and Swatek are from Eastman. Sprosty is from rural Gays Mills and the others are from Seneca. The Scheckel boys arrive back on the farm on Oak Grove Ridge. It’s after dark. Phillip puts the car in the garage and closes the large swinging door. Phillip, Bob, and I walked through the gate and down the grassy path to the front door of the house. We relay the news to Dad and Mom. They, like many parents, seize the “teachable moment”. They tell us how important it is to be careful, stay sober, drive carefully, and how fickle life can be. We listen attentively. We do know all these things. Then we go to bed. I lay there for a moment thinking about the day’s events. At noon, I’m playing catch with a good friend. That evening, he is dead.